Plan an Eco Tour at Norman Bird Sanctuary. NBS Ecotours are led by knowledgeable NBS Education staff. Ecotourism “responsible travel to natural areas that conserves the environment and improves the well-being of local people.” NBS Ecotours are led by knowledgeable NBS Education staff. The cost includes transportation and snacks. Please dress for the weather, bring a lunch, and binoculars. May is an exciting time to see droves of migrating warblers, raptors, shorebirds, and other species. Hop into the ‘Bird Van’ and hit the best birding hot spots throughout southern New England. Your birding guides plan the day trip around current sightings reports, so you have the best chance of spotting rare spring migrants. Registration opens in July 2019! This is a beautiful time of year to see waves of migrating birds as they make their way down the Atlantic flyway. Experienced and beginner birders alike are welcome on this itinerary designed to hit several birding hot spots and a variety of habitats in the area. Be on the lookout for raptors, shorebirds, and droves of swallows among other species. Registration opens in November 2019! Hop into the NBS van for a day trip that hits several birding hot spots throughout the region. Coastal New England is known for large number of rare birds visiting in the winter months. The itinerary is planned to coincide with current sightings reports, so participants have the best chance of spotting rare winter migrants. Package Your Stay at the Paradise Farmhouse with a RI Ecotour! For birders looking to see more of Rhode Island, NBS is now offering customized Ecotours packaged with accommodations at Norman Bird Sanctuary’s Paradise Farmhouse. 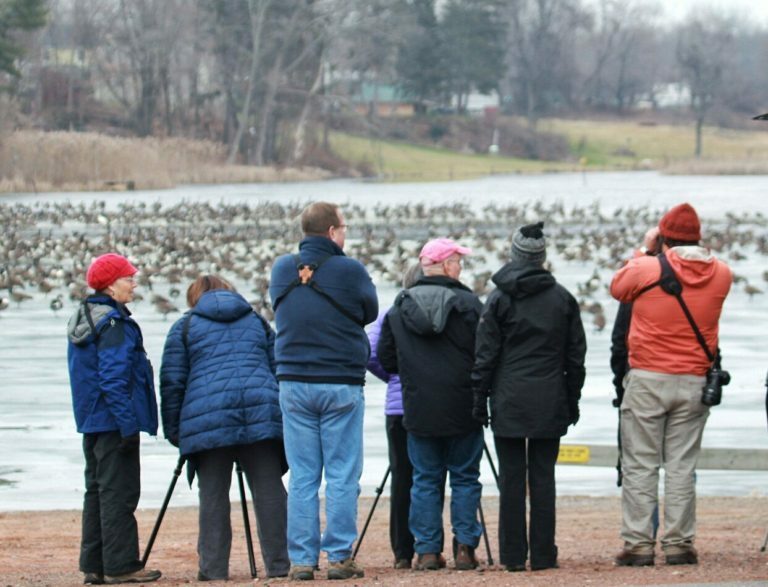 Your birding group will explore the best seasonal locations to find rare birds all while staying in the heart of one of state’s best birding hot spots.